Living your dreams isn't easy. It takes persistence and tenacity, along with faith in yourself, in God, and in the vision He has given you. 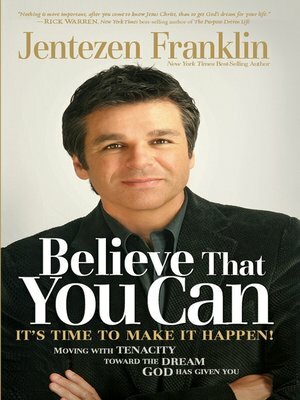 In Believe That You Can, Jentezen Franklin gives you a powerful message of hope: you can do it! Don't let anybody steal what God has already shown you!